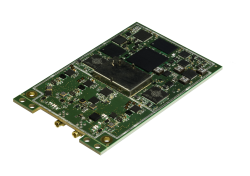 Trimble has introduced its next generation AP Series of embedded GNSS-inertial OEM modules plus inertial measurement units (IMUs), featuring a 220-channel multi-frequency GNSS receiver with dual-antenna heading support. The company announced the new products today (August 16, 2011) at AUVSI’s Unmanned Systems North America 2011 Conference and Exhibition. 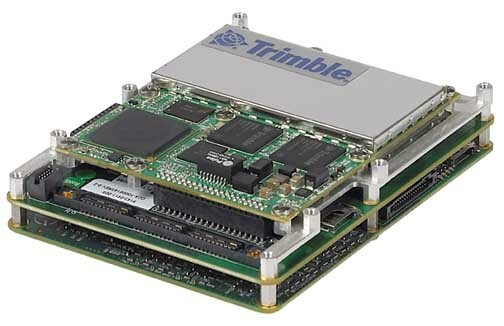 According to the company, the Trimble AP Series of modules features a high-performance precision GNSS receiver and the Applanix IN-Fusion GNSS-Inertial integration technology running on a dedicated inertial engine (IE) board. The modules track all available satellite signals including GPS L1/L2/L5, GLONASS L1/L2 and Galileo, with optional OmniSTAR VBS, XP, HP and G2 corrections capability. The AP Series offers system integrators five different models from which to choose, providing a wide range of performance levels and price points to address a variety of mobile positioning applications including airborne, terrestrial and marine mapping and guidance for unmanned vehicles. More information about the company’s precision GNSS + inertial can be found at: www.trimble.com/GNSS-Inertial. The Trimble AP GNSS-Inertial OEM Series is available now worldwide through the Trimble Precision GNSS + Inertial sales channel.